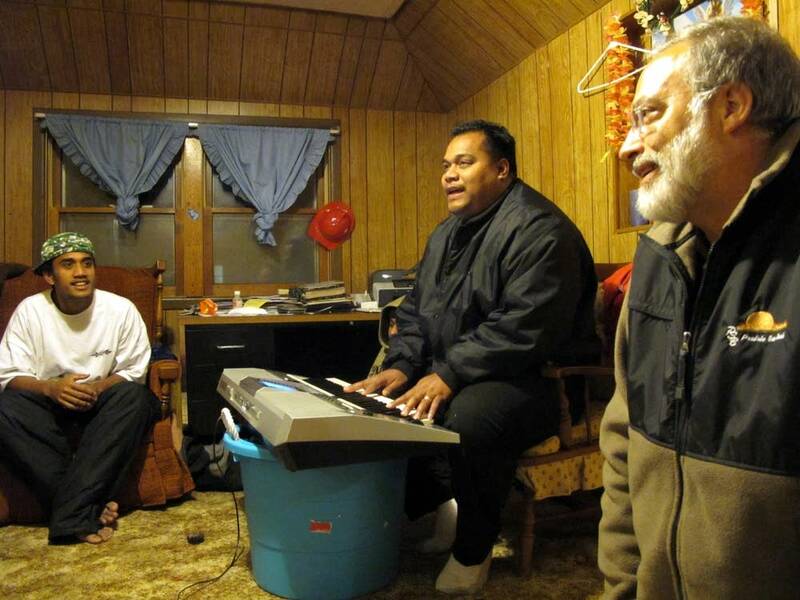 From tiny island to tiny town, Micronesians at home in Milan, Minn. It's a long way from a tiny island in the middle of the Pacific Ocean to landlocked Chippewa County in central Minnesota. But dozens of people from Micronesia have made the transition over the past 10 years and changed the character of the town of Milan. 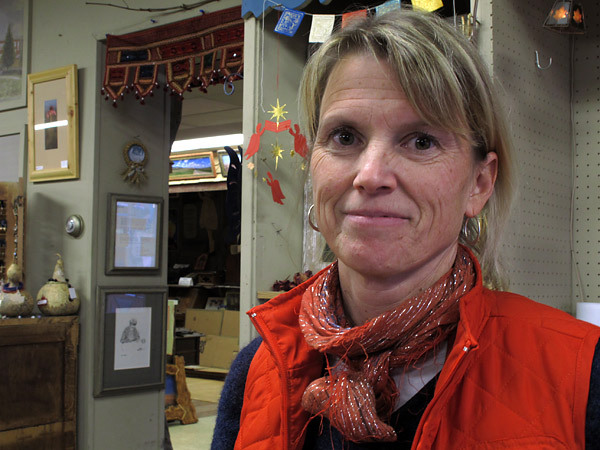 The influence of Norwegian settlers is unmistakable in Milan, a town of 280 people 140 miles west of the Twin Cities. You can get lutefisk TV dinners and rosemaling is visible on a few buildings on the main street. And, as has been tradition for over a century, Christmas carols will be sung in Norwegian at the local Lutheran church. But a few blocks away from Main Street in the home of Michael Elias, a different culture is on display through music. Elias and his family and friends gather every day to sing Christian songs in their native language, Chuukese. They're originally from an island called Romanum in Micronesia. "We grew up in a place where they always sing in the morning and during the night, on the beach, watching stars, tinkling birds, sailing on canoes, and stuff like that," said Elias. Elias' family was the first to move to Minnesota. Their connection to Milan dates back to the 1980s when a local banker, Erik Thompson, served as a Peace Corps volunteer in Micronesia. Thompson befriended Elias' uncle, who visited Minnesota and later settled here with his wife, five children and nephew. Thompson says Milan is roughly the same size as their island. "He thought he wouldn't be overwhelmed by the size of the place, and that I could speak his language so I could help him make a transition," Thompson said. "But he said he also wanted to bring his family over so kids could get a good education." Thompson says on the island, kids missed school daily because teachers were often absent. Well-paying jobs were also hard to come by. Most Micronesians are subsistence fishermen. A compact with the United States allows Micronesians to migrate freely here during the term of the treaty, but they cannot apply for citizenship during that period. In Milan, Micronesians have found work in meat-processing plants and in cleaning services. The influx of Micronesians has slowed Milan's population loss. A third to half of the town's residents are now former islanders. In the 2000 census, Milan had the oldest population in Chippewa County. Now, it has the county's youngest profile. 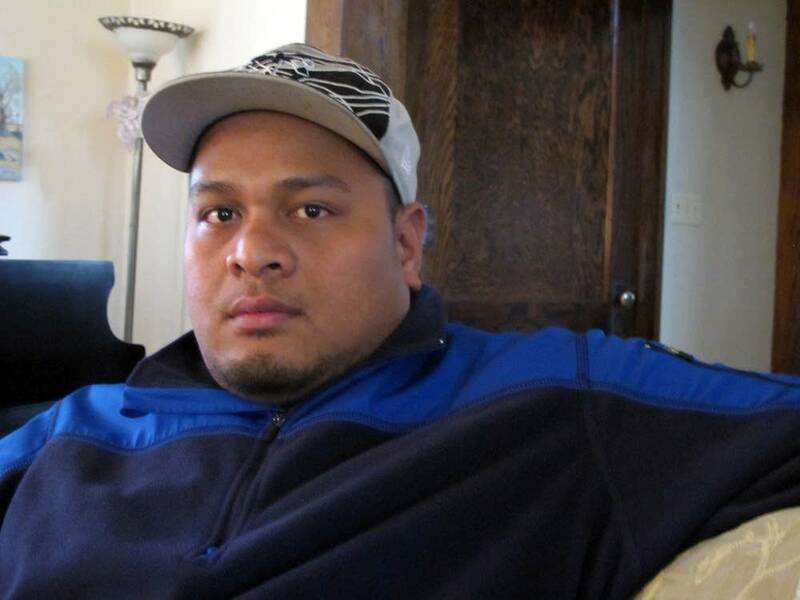 Gabriel Elias, Michael Elias' brother, says he was curious about Minnesota winters -- a stark contrast to the hot, humid, and tropical climate in Micronesia. "It was really strange for me," he said. "Just walking out of that airport and feeling the cold was one of the strangest things that ever happened to me in my life. It felt like I was in a freezer or something." But Micronesians have learned to adapt to the weather. They play basketball and volleyball everyday at the park when it's warm. And in the winter, more than 40 people chip in money to rent the gym at the local community center. Local business owner Ann Thompson (no relation to Erik Thompson) says the Micronesian residents are helping the local economy. And while some of her neighbors complain privately that the newcomers aren't trying hard enough to assimilate, Thompson says that's not true. She recalls this year's celebration of Norwegian Independence Day, and the large Micronesian contingent. "They all had bright blue T-shirts on and they were carrying a Norwegian flag," she said. "They were reciting something in their native language, which is Chuukese, but every once in a while they'd say, 'Uff da! Uff da! Uff da!' And uff da is Norweigan for like, 'oh no' or 'darn it.' So it was quite hilarious." The Micronesians won the "Best Uff Da" award - perhaps the best sign they're fitting in far from their native home.